The California desert town of Palm Springs is one part resort community, one part gathering space for the Coachella Arts and Music Festival. The vibe is a mix of opulence and excitement — a blend of golf courses, mid-century modern homes, and movie star hideaways infused with a funky festival vibe. Our guide to running in Palm Springs features something for everyone — from gentle trails in the oasis surrounded by desert mountains to some more challenging trail runs. 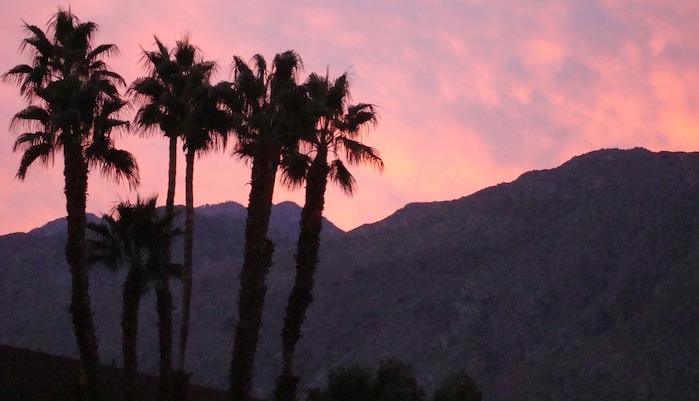 The warm dry weather and gorgeous desert scenery make Palm Springs a wonderful center for running. There are also some lovely parks, bike paths, and residential neighborhoods that make for great, scenic workouts. The run along Palm Canyon Drive is the signature road run in Palm Springs. For a flat, easy run, enjoy our ‘runseeing’ tours of downtown and the movie star neighborhoods or the lovely Joe Butler Trail along a golf course. For trails, the South Lykken sprouts from the foothills. 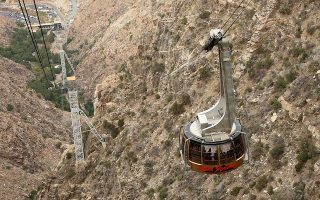 A true challenge is the run up Tramway Hill, the road that parallels the Tram and site of a well-known uphill race. In Palm Desert, there are about 2 miles of trails in Palm Desert Civic Center Park. See the Palm Springs Bike Route and Trail Map for additional info or to design your own route! The Sunline Transit Agency is the primary form of public transport in Palm Springs, with routes throughout the Coachella Valley. With a little help on wheels, you can explore the city to its limits, but there is plenty of great running right downtown. Terrific trail run in Rancho Mirage right off Rt. 111 and near the Ritz Carlton Hotel. Hilly. A 3.3 mile loop incorporates the Rd. Runner Trail and the Jack Rabbit Trail. 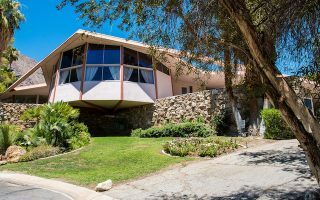 The neighborhoods of Old Las Palmas and Vista Las Palmas are some of the most gorgeous residential areas in Palm Springs, known for beautiful mid-century modern homes and celebrity status residents. Use our suggested route or create your own! 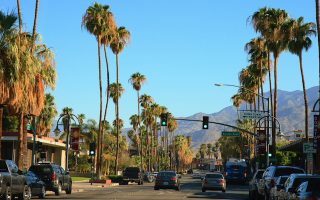 Our 6 mile downtown tour is situated within easy distance of most Palm Springs hotels, and covers some of the major tourist attractions and parks of Palm Springs. 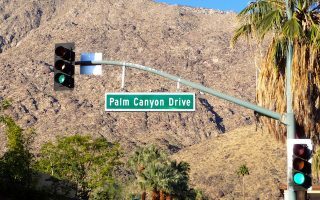 Stretching along the western limits of Palm Springs before the streets give way to mountain ranges, Palm Canyon Drive is one long, beautiful route that reaches from the city center all the way down to the Agua Caliente Indian Reservation. This 4-mile loop takes you through the city's older, picturesque, palm-lined residential streets. Our route is derived from the City of Palm Springs bike map. There are good sidewalks. 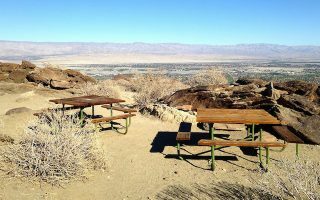 This 3.5 mile out and back on the South Lykken Trail, which rises up from South Palm Canyon Drive in lower Palm Springs, has great views of the Coachella Valley. The Tram Road Challenge is a taxing 6k from Chino Canyon up to the 8,500 foot elevation of Mt. San Jacinto State Park. The run is up the access road paralleling the tram. Nearly 2,000 foot elevation gain, grades averaging 7-8%. 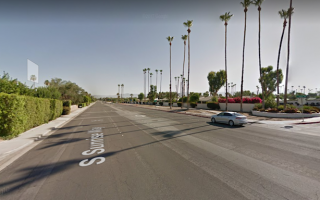 The Joe Butler Trail is a quiet run on an asphalt path in the Rancho Mirage neighborhood, stretching 2.5 miles (out and back) alongside a scenic golf club. Good run if you're staying at the Ritz Carlton. 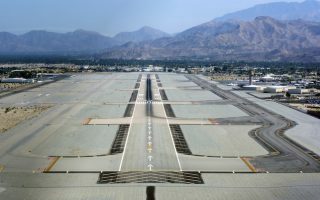 With this swift loop around the Palm Springs International Airport, you can explore the golf clubs and mountain vistas of downtown Palm Springs in one easy in and out loop. 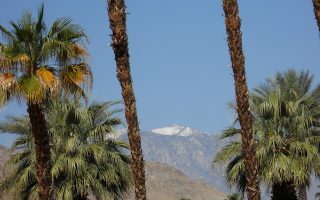 Palm Springs has a desert climate, with near constant sunshine. Winters are delightfully warm and dry, with average high temperatures in the 70s & 80s from November-March. Nights can be cool in winter, dipping into the 40s, so bring a layer for those crisp mornings! Beware of running at the height of summer. From June-September, average daily high temperatures are 100-110F (38-43C). 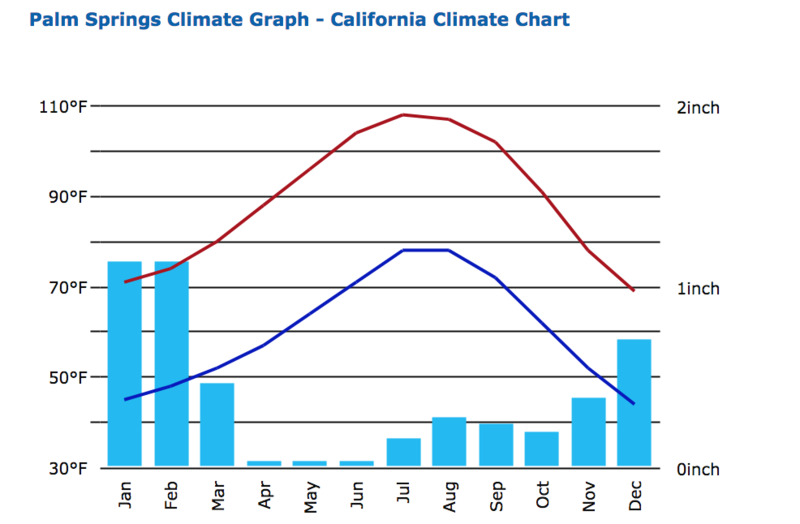 Palm Springs only receives about 4-5 inches of rain annually, most of it from November through March. This is a resort and vacation destination, so there are plenty of hotel options. The Ritz Carlton is well-known and near trails. There are many hotels along Palm Canyon Dr., between E. Vista Chino and Ramon. Look for lodging at VisitPalmSprings.com. Running Wild has two stores in Palm Springs and Palm Desert, both great for shoes and route advice! See their route page for additional route suggestions! 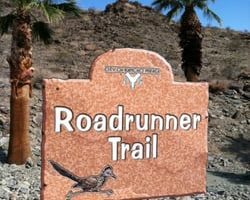 Check out GreaterPalmSprings.com for local runs, walks, and hikes.